Bonfire and firework events can be great fun for all the family, but poor planning can quickly turn them into a tragedy. If you’re hosting an event this month, please make sure you follow these essential tips. • Ensure manufacturers’ general and specific instructions are known to all your team. • Have a back-up plan to cover unexpected eventualities, such as a key member of your team falling ill, bad weather, high winds etc. • Provide clear signage to inform all guests were they can and CAN NOT go! Choose a large, clear and well-mown area free from obstructions, well away from any buildings, trees and hazards like overhead cables, with as many safe entrances and exits as possible. These must be away from the firing area and where the spent fireworks will fall. Make sure all entrances are well lit, clearly signposted and kept free from obstructions and that you can cater properly for disabled spectators. The display site needs to be large enough to cope with the types of fireworks to be used, a change in wind direction or strength, and the expected number of spectators. Greater safety distances will be required for certain sizes or types of fireworks. Displays fired from unusual sites such as a roof of a building or a barge on a river may require different safety distances. • Spectators must NOT be allowed into your display area, or to bring and set off their own fireworks – if they do, or they encroach the safety zone, stop the display immediately. • If any firework fails to go off, don’t go back to it – it could still be live and could go off in your face. Half an hour is the absolute minimum time to wait before you consider approaching it again. If you decide to have a bonfire, make one person responsible for it, from early planning to final clearing up, and make sure it’s the appropriate size for the space you have. Remember that the event doesn’t finish when the last firework goes off. You still have to clear the site and ensure that the bonfire is completely out before leaving the site. • If any look as if they haven’t gone off, leave them where they are and keep people away from them for at least half an hour. • Seek advice on how to dispose of them. Although there may seem a lot to do, most of these steps are simply common sense. 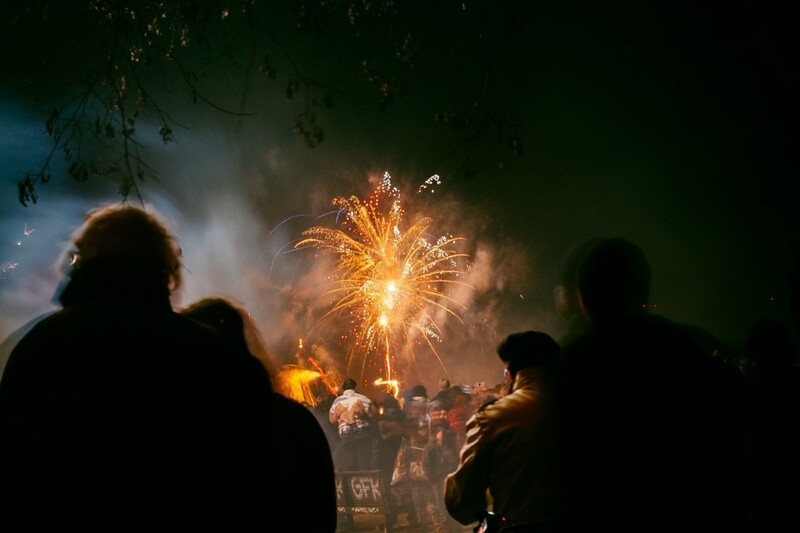 Peninsula clients can obtain more detailed guidance, along with a firework display checklist, from their BusinessSafe Reference Library – plus their usual 24 access to our BusinessSafe Advice Line. Call us on 0844 892 2785.